Can the new Jazz set Honda’s hybrid record straight? Difficult second albums. Watchable movie sequels. Defending a sporting championship. All things marginally less taxing than the job Honda faced trying to follow up its first hybrid car, 1999’s far-sighted Insight. 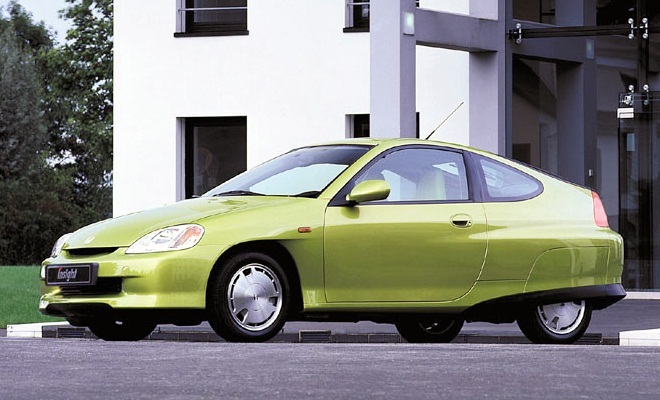 Honda’s problem was that the first-generation Insight was just too good. OK, so it was far too expensive for a cramped, two-seater hatchback with limited performance. And Honda still lost money on every example sold. But so thoroughly engineered was the first Insight, no subsequent Honda hybrid has come close to matching its 83.1mpg combined-cycle economy. 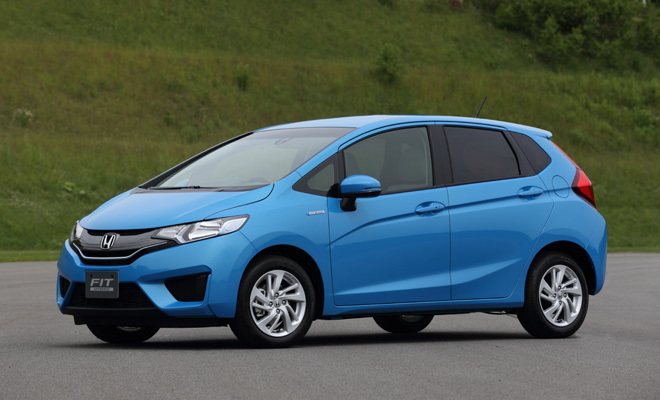 That’s why the next Honda Jazz Hybrid, or Fit Hybrid as it’s known elsewhere, is so important to the company. It’s not due in the UK until 2015, but the early signs are good. Honda Japan is throwing around a figure of 36.4 kilometres per litre under the Japanese JC08 test cycle. In more familiar terms, that’s 103 miles per gallon. 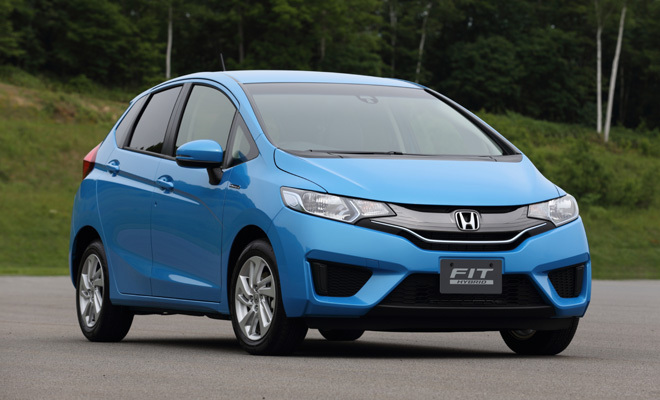 Japan’s economy tests are even more flattering than their European counterparts, but for some perspective on the new car’s achievements, the existing Fit Hybrid achieves 74.5mpg on the JC08 cycle. Even Toyota’s best efforts fall short of the new car’s mark. It’s all down to Honda’s new hybrid system, called Sport Hybrid Intelligent Dual Clutch Drive. The new acronym, SH i-DCD, is a bit more of a mouthful than IMA – Honda’s outgoing Integrated Motor Assist hybrid system – but the upshot is a system that finally allows meaningful running on electric power alone, just like the Hybrid Synergy Drive of arch-rival Toyota. The old IMA layout wrapped a thin electric motor around the engine’s output shaft and threw some batteries into the boot. It was simple and effective, but it meant a Honda hybrid couldn’t spin its motor without also cranking the engine. The IMA name was appropriate – the motor was relegated to merely assisting the engine. SH i-DCD is different. It pairs an Atkinson-cycle 1.5-litre petrol engine with a seven-speed dual clutch gearbox and high-output electric motor. A fully electric EV mode now joins the previous engine-only and hybrid-drive modes, and the electric-only running means more efficient city driving. A full 35% more efficient if the Japanese results are any guide, though we’ll have to wait and see what numbers fall out under the EU test regime. That’s economy out of the way then, but what about the F-word? Fun, that is – no longer a dirty word for hybrids. And, indeed, a concept that ought to be more familiar, given the first-generation Insight’s modest lightweight thrills. Honda’s sporty CR-Z hybrid coupé is also entertaining, but the rest of the range – you can find out about Honda’s hybrid cars here – is a little too “cress sandwich” in a market full of meaty diesels and spicy turbocharged petrol lumps. Honda promises that fun will return with the latest Jazz Hybrid. We’ll have to wait and see on that front too, but there are at least grounds for optimism. After recent ho-hum albums, soporific sequels and silver medals, Honda might finally have a follow-up to its iconic Insight.